I’m writing this New Year’s Eve day, from the “Play Factory” in Phoenix – where my soon-to-be three-year old is frolicking, on one of Arizona’s few rainy days. Oh well, the ominous, overcast weather is a fitting end to one of the most frustrating years of my life – which, I might add, will be replaced by weeks of sunshine starting tomorrow. Watching the global economy freefall at a pace matched only by 2008 – albeit, with dramatically higher debt, social unrest, and geopolitical tension, I can only imagine what will occur when things really get ugly. 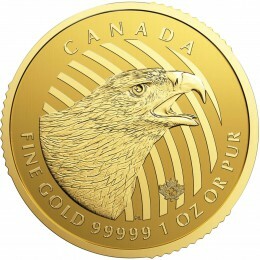 And frankly, I have ZERO doubt that a year from now, today’s economic horror show will be considered the “good old days.” Today’s PM attacks are just “par for the course” for TPTB’s “last stand”; as honestly, how much more obvious can the Cartel have been in its defense of $1,200/oz gold; let alone, the $1,205/oz level it closed 2013 at? Every day this week, oil, commodities, currencies, interest rates, and economic data have plunged; and while PMs surged higher Friday and Tuesday (albeit, muted by prototypical capping algorithms), the Cartel viciously fought back Monday and today. Moreover, PPT/Fed support of the stock market, whilst “not allowing” the 10-year Treasury yield to fall too far below 2.2%, round out the height of manipulative hubris. The problem, of course, is that with each passing day, the “chasm of destruction” between economic reality and manipulated markets – fostering historic investor lethargy – grows wider; and in the case of Precious Metals, the timing of their inevitable, perhaps permanent shortage has been dramatically accelerated. To wit, today’s economic data included the largest U.S. monthly home price decline in a year; followed by yet another downward “revision” of existing home sales; a multi-year low in the number of households expecting to purchase a home; an “unexpected plunge” in the Chicago PMI, and surging jobless claims. Meanwhile, in China, its manufacturing PMI again printed below 50 (signaling recession), whilst its main economic “leading indicator” plunged to its lowest level since the heart of the global crisis in early 2009. Worse yet, dissension within the soon-to-implode ECB has never been worse, with Mario Draghi stating monetary union “must” be completed – as if it isn’t, the “threat” of nations exiting the Euro (read Greece) could have dire consequences for all members. Simultaneously, one of Angela Merkel’s top Bundestag allies claimed the Euro zone should no longer support Greece if it does not kowtow to “troika” austerity demands. In other words, even German support for the ill-fated monetary union is cracking, rendering Draghi’s “whatever it takes” rhetoric and actions futile. Remember, Greece has €400 billion of debt that may – and likely, will – be defaulted if Syriza does, as expected, take control of Greece following next month’s snap elections. And thus, it shouldn’t surprise anyone that as I write, in these last hours of 2014, the Euro finally plunged below the July 2012 “whatever it takes” low of 1.2124 – on the verge of collapsing below ten-year support, to nearly the Euro’s launch at the turn of the century. I mean seriously, this is one terrifying chart; and please note, how the 2010 bounce – corresponding to the initial Greek bailout; and the 2012 bounce, when Draghi said he’d do “whatever it takes” to save the Euro; simply bought ephemeral bounces that were destined to be swamped by the “unstoppable tsunami of reality”; which, quite clearly, is hitting Europe NOW. Yes, the Euro is closing 2014 on its low tick; as will countless global currencies, serially crashing as fear of global economic and financial collapse goes parabolic. Not to mention, the interest rates in nearly all its member nations, as investors front-run the overt “QE to Infinity” that will become universally understood in the coming months. To wit, the “dollar index” has broken not only above its ten-year trading range, but the 2008 financial crisis high; clearly, illustrating the tragic ramifications of a collapsing fiat Ponzi scheme. The Ruble’s 80% plunge against the dollar is grabbing all the headlines, but nearly all currencies are significantly lower against the dollar this year – as well as gold, as we recently emphasized. And not just “commodity currencies” like the Ruble, Rand, Australian Dollar, Indonesian Rupiah, and Nigerian Naira; but “mainstream” currencies like the UK pound; “cancer-stricken” currencies like the Pound; “pegged” currencies like the Swiss Franc and Yuan; and of course, suicidal currencies like the Yen. To that end, how ironic is it that the year’s best performing asset class is Chinese stocks? Just four months ago, they were down for the year, but ended 52% higher when the PBOC hyper-accelerated its already world-beating printing presses, by “unexpectedly” initiating easing measures from rate cuts, to relaxed bank reserve requirements, to eased mortgage financing standards – which, by the way, are just getting started. And what has actually occurred since then, aside from the opening of millions of margin trading accounts, just as in 2007, before the Shanghai stock exchange crashed? Per the aforementioned leading indicators and PMI data, every aspect of the Chinese economy has gone into freefall – from home prices; to manufacturing activity; debt delinquencies; and, of course, commodity demand. In other words, the aforementioned “chasm of destruction” between Chinese economic activity and financial markets is as wide as anywhere on the planet, getting wider each day. Which brings me to today’s all-important, year-opening topic, the “direst prediction of all” – referring to what we view as the most economically catastrophic of the 2015 predictions espoused in last week’s audioblog. Which is, the horrifying collapse in commodities of all types; as depicted by the CRB Index, too, closing not only at its low tick of the year, but just 15% above its 2008 crisis low. Its largest component, WTI crude oil, just hit its low tick of the year as well, at $52.50/bbl – and at this point, it’s difficult to believe anyone doesn’t yet realize the global carnage this will cause. Nearly four months – and 1,000 “Dow Jones Propaganda Average” points ago, we warned of the dire ramifications of the unfolding global commodity collapse. We also noted that based on their principal usage as monetary assets – per 5,000 years of financial history – gold and silver are decidedly not “commodities”; and today, more than ever, our confidence in their ability to protect assets from what’s coming has never been higher. However, that’s a story for another day, as what we’re about to speak of is eminently important – and ominous. Today’s topic takes the issue of commodity crash one step further, care of the fantastic work of one of the world’s greatest financial analysts, David Stockman. In his landmark book, the Great Deformation (which I haven’t read), he writes of the big picture ramifications of four-plus decades of monetary lunacy; as not only did the resultant “liquidity” contribute to overvalued financial markets, but created an historical bubble in global manufacturing capacity. Said “deformation” was dramatically enhanced because bankers were allowed to run rampant with “weapons of mass financial destruction”; which, following the 1999 repeal of Glass-Steagal, have created a “new normal” of exponentially leveraged, unequivocally rigged financial markets. In this must read article – and I do mean MUST READ; he discusses how the Fed and other Central banks’ relentless monetary bubbles created such massive overcapacity in commodity production, it could take years – or decades – to be worked through. In other words, for all intents and purposes, the current plunge in commodity prices will be permanent. Nearly certainly in real terms, and possibly nominal terms as well – unless/until the Central banks inevitably resort to hyperinflation to “repay” their debts; which sadly, has been the route taken in every fiat regime throughout history. Thus, particularly given my ten years of experience as a Wall Street energy analyst, I am incredulous when I hear people speak of the “temporary” nature of the oil/commodity price decline; such as, for instance, Janet Yellen, who earlier this month described it as “transitory” – although clearly, she was lying through her teeth. No, the multi-million barrel/day difference between supply and demand will decidedly NOT “correct” itself; particularly as demand continues to plunge, and supply to surge. You see, unlike in 2008, Central banks cannot inflate the money supply without causing hyperinflation, and manufacturing capacity is dramatically larger, financed predominantly with high-yield debt from an insolvent banking system. Worse yet, most such capacity is high-cost – such as the imploding U.S. shale complex; and thus, its heavily indebted purveyors will be forced to sell every last barrel to avoid instantaneous bankruptcy. Heck, Saudi Arabia itself just announced a record trade deficit; and given that it, and most OPEC producers, are socialized nations relying on $100 oil to fund spending programs, there is essentially no chance they will cut production; as not only do they desperately need the revenues, but are low-cost producers; and thus, know they can destroy high-cost producers, such as the U.S. shale industry. And sadly, this argument is not limited strictly to oil, but countless other resource-exploiting industries. Except, of course, gold and silver – which are not only the polar opposite of “commodities” (given their maximum utility during times of financial crisis), but have been “treated to” the polar opposite supply effect of other commodities. 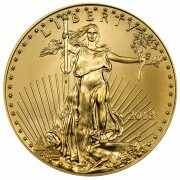 In other words, just as the Central banks funneled endless amounts of printed money into the production of industrial commodities, their unrelenting suppression of gold, silver, and mining shares has created an essentially guaranteed production collapse; again, which could take decades to resolve, with the double whammy of occurring amidst historic demand. 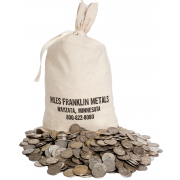 At the Miles Franklin Blog, we have written of this all year; and given my five years’ experience in the mining industry, I can tell you unequivocally that this outcome was set in stone as far back as 2011, when the industry was already devastated by capital strangulation, surging production costs, and surging geopolitical risks. 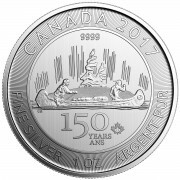 In October’s “Miles Franklin Silver All-Star Panel Webinar,” we concluded that a 50% silver production decline in the coming years is not unrealistic; and as for gold, it too will unquestionably experience dramatic production declines in the coming years, as essentially no material capacity is expected to offset unrelenting depletion, particularly in today’s suppressed price environment. Of course, when prices do inevitably explode, it will no doubt be due to the Cartel finally losing control over financial markets. This, in turn, will cause an historic “gold rush,” not just by investors but governments themselves – such as, for example, “repatriators” like Germany, Holland, and Austria. Not to mention the “pink elephant” in the room – CHINA. And thus, as 2014 comes to a close, we can only warn you of the likelihood that 2015 may be the ugliest economically of our lifetimes; during which, the few assets one can PROTECT themselves with likely trade at huge premiums to today’s levels; that is, if you can find them at all. And as for the rest, my guess is “oversupply” will turn out to be the understatement of the century! happy new year andy. Look forward to another year of your analysis and commentary. Andy, not only the CRB but the DBC commodities tracking index, (global in scope) along with the BDI (Baltic Dry Index) all of which have tanked. Especially the DBC which has just had it’s worst day involving huge volume! Seems like the ONLY thing going up is the stock market! WTF? It’s getting scary out there! More so than I could have ever imagined. I think the powers that be want the European Union intack so they can totally control them and screw them as well. Most of the individual countries would be better off getting out of the EURO and controlling their own fate. When you leave your affairs in control of others you usually always get screwed and robbed blind! Talk about getting robbed blind, what about your money in the bank that is no longer yours, but instead a loan to the bank that the bank hopes it can pay back to you. This will be one of the biggest thefts of all time. And all the fools that think they are covered by the FDIC when the FDIC has only enough to cover 1.7% of all assets in the banks. No wonder the government has required employers to “direct deposit” your wages directly into a bank account. My wages use to be directed deposited on early Friday morning and on the way home Friday I would stop at the bank and withdraw all my wages except for about $100.00 that I left in the account to keep it open. Years ago I started paying my 10 or so monthly bills with money orders that cost about 75 cents each. Yes it is more of a hassel than writing a check, but being your own bank is very rewarding. One morning all the folks with their currency in a bank account will wake up to find it gone (the govt will use hacking as the reason) and they are dead broke. Now how easy will it be to control the masses? Notice I used the word currency? That stuff you have in a bank is NOT money, but Federal Reserve Notes that are an “instrument of debt” (look it up). This scam is easy to pull in American as we are a very young nation and dumbed down. All the old timers that went through the depression are most gone now, and the young ones only know “good times” and a toy received every trip to WalMart. What a wake up call that they are fixing to get! I believe that 2015 will be “hell on earth”. Yes, a “Happy New Year” to all. When you said “yes”,are agreeing with what RF said? If so, all or just part? If just part, which parts? Not sure what you are talking about, or which specific post. I agree with his general view that the global economy is on the verge of collapse. Great show and commentary, keep up the good work! How do you think the lower oil prices will affect cost of PM production? More specifically, maybe not so much gloom and doom for the miners as one might expect? I wonder if lower oil will cause less bankruptcy in the mining complex, increased production and resulting decrease in gold and silver prices. Not being argumentative, just trying to think through all the angles. Thanks for all your hard work! I look forward to your commentary and podcasts. Good question. Energy is typically roughly 20% of the cost of mining. However, it won’t change things materially, as all other costs are rising – such as taxes, regulatory/environmental, labor, etc. And more importantly, no new mines have been discovered in YEARS – and none will be, as the industry is on the verge of bankruptcy. as usual. Again and again, nothing happens until they say it does. The reason I have credibility is I write of FACT, not conspiracy theory. I love reading the passion in your articles. I wanted to pass along a Forbes piece for your perusal and consideration as it pertains directly to your post here. Thanks, but I simply don’t have the time to read everything I’m sent. However, if you have a specific question, I’d be happy to answer it. Of course. Is the 1999 law really to blame? “In 1999, President Clinton signed GLB into law. Although it left the bulk of Glass-Steagall in place, it ended the affiliation restrictions, freeing up holding companies to own both commercial and investment banks. Put it this way. Such drivel doesn’t even deserve a response. Forbes is notoriously smart at some times, and dumb as a stone others.